"It all started with a search on google for a photographer in the Shediac area. We quickly discovered Nigel's work and knew right away it was the right fit for our wedding. His photos captured the feel of the moment, not just a pose. His passion and love for his profession poured through every shot. Furthermore, after meeting for the first time, we were impressed by his ability to be personable and professional at the same time. Our experience with Nigel was a definite plus to our whole wedding planning. As a bonus, we had fun during the whole process. Nigel has an amazing ability to let you be yourself while setting up the perfect picture opportunity. Our album is a masterpiece of superior quality in a class of its own that makes us relive our magical wedding day every time we show it to family and friends. Nigel, we can't thank you enough for being able to know exactly what we wanted and making all the decision making simple and stress free." It was great working with Nigel. 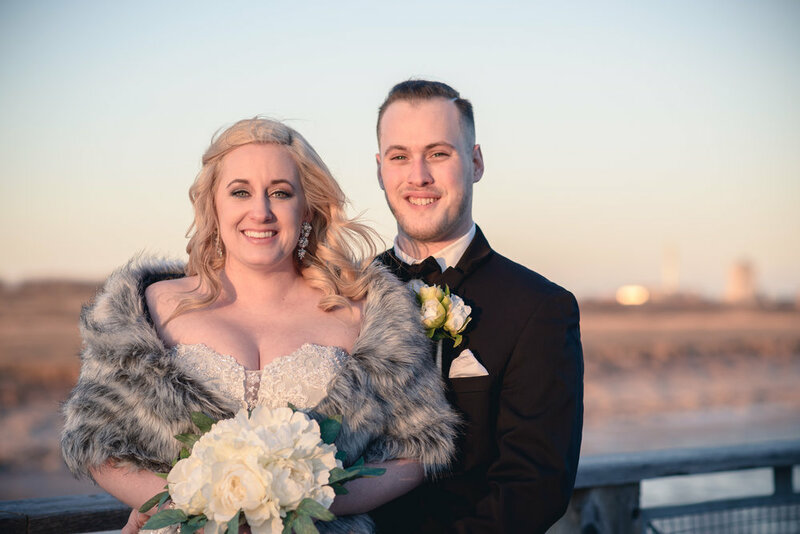 He took the time to meet with me, was accommodating to our budget and attentive to the types of photos we were looking to have from our wedding. He provided lots of creative suggestions as well, which was appreciated! He was professional yet easy going during our wedding day. He took photos at our home with our dogs, at Moncton's Centennial Park, and at the Magnetic Hill Winery, where our wedding took place. He kept the wedding party and family members organized during group shoots and captured wonderful candid moments throughout the reception. He did a fantastic job showcasing the beautiful landscape and architecture at the winery. We love our wedding photos! "Nigel was personable, yet professional, and took the time to get to know our style. Plus, the photos were amazing!" Thank you so much for being so professional, patient and open to all our crazy ideas. We couldn't have asked for a better experience!